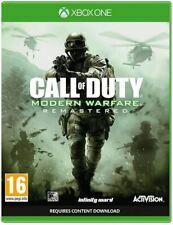 Developed by Infinity Ward, the award-winning Call of Duty 4: Modern Warfare set a new. with XBOX Certificate of Authenticity Seal! standard upon its release for intense, cinematic action, while receiving universal praise as. 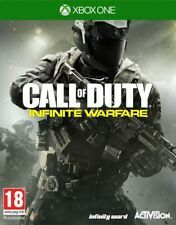 This new storyline effectively turns many of the Call of Duty series' tropes on their head. You're the underdog, up against enemies with superior firepower, technology and numbers. You, however, do have a dog on your side. Multiplayer, of course, has been overhauled. 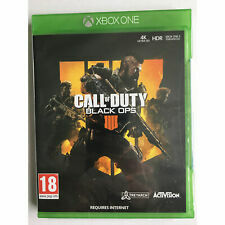 Call of Duty: Black Ops IIII Xbox One Game. Only played the game once and it’s stayed in the cupboard ever since. Condition is Like New. Dispatched with Royal Mail 2nd class. 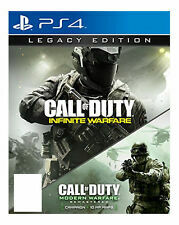 Activision has gone to pains to state that this is a carefully researched future, so don't expect black hole guns or laser blasters. Players can even bring in guard dog Riley, from the single-player campaign, to protect and also to attack enemies. There are also over 30 NEW weapons, including an entirely new weapon class: Marksman Rifles. Destiny: The Taken King -- Legendary Edition (Microsoft Xbox One, 2015). Condition is Like New. Dispatched with Royal Mail 1st Class Large Letter. Any codes have already been used. Destiny Microsoft Xbox One . Condition is Good. Dispatched with Royal Mail 2nd Class. 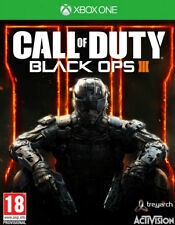 Call of Duty: Black Ops III (Microsoft Xbox One, 2015). Condition is Like New. Dispatched with Royal Mail 2nd class. 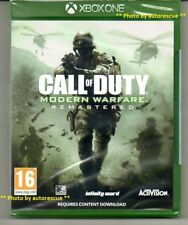 Call of Duty: Ghosts (Microsoft Xbox One, 2013). Condition is Good. Dispatched with Royal Mail 1st Class Large Letter. Few marks on the case, but as you can see from the photo - the disc is very good condition. Call of Duty: Black Ops III (Microsoft Xbox One, 2015). Condition is Very Good. Dispatched with Royal Mail. As a novice Ghostbuster, you can upgrade your character's gear and abilities by completing tasks, defeating creatures, and discovering hidden collectibles in the most haunted places in Manhattan. There are four heroes you can choose from, and all of them have their own unique personality and style of play. 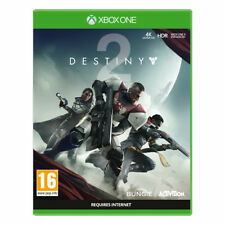 Destiny -- Limited Edition (Microsoft Xbox One, 2014) - European Version. Condition is Like New. Dispatched with Royal Mail 1st Class Large Letter. Call of Duty: Advanced Warfare -- Day Zero Edition (Microsoft Xbox One, 2014). Condition is Good. Dispatched with Royal Mail 1st Class Large Letter. 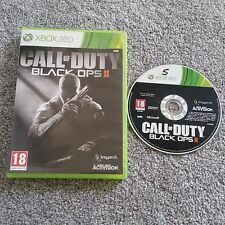 Black ops 3 for Xbox one, only been used 2 times. Disk has no scratches.